To start this off I’m going to use a quote from the movie ‘ehhhhhhhhh’. It has been announced that The Grudge 4 is in development. I have to admit that this is a surprise as The Grudge 3 didn’t even get a theatrical release. I love The Grudge, and I mean both versions. American or Japanese I don’t care you put it in front of me and I’ll watch it. Even though I’m a fan of the series I’m against this movie that is unless the original director returns. No offence to Toby Wilkins, he just doesn’t have a grasp on the series, not like Takashi Shimizu (who created the franchise and directed the Japanese versions plus the first two American ones). The Grudge started as two short films 4444444444 and Katasumi (also known as In the Corner). Since then it has been developed into many films, both Japanese and American. To celebrate the 10th anniversary, of the series, two Japanese films were released simultaneously. These movies had no link to the original series, but followed other spirits and the people that get infected by their curses. I know I’ve gone a little off topic but the point I’m trying to make is why not make an American version of these stories why continue a story that’s already finished? The point of The Grudge is that there are some things that cannot be stopped. Good doesn’t always win, love doesn’t conquer all, don’t pass go don’t collect two hundred pounds. Then comes The Grudge 3. Okay it’s not a solid victory but it’s closer than Buffy got. I’m not going to act all righteous and start a revolution; I’m not going to boycott the film or anything like that. I’ll probably end up seeing it. There I say it happy now. Hopefully it will put the series back on track, re-introduce the, sometimes confusing, time loops, because they give depth and background to the story. There are millions of ways to recover from the third film, which did have its good points don’t get me wrong. Neither Wilkins or Shimizu will be directing this addition of the franchise, instead Adam Green will taking the reins. 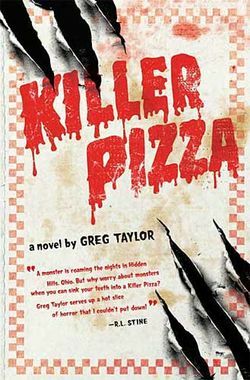 Currently Green is working on another film that I’m interested in, called the Pizza Killer. It’s a horror comedy about a boy that gets a job at a pizzeria that turns out to be a monster hunting organisation, but I’ll talk about that another day. 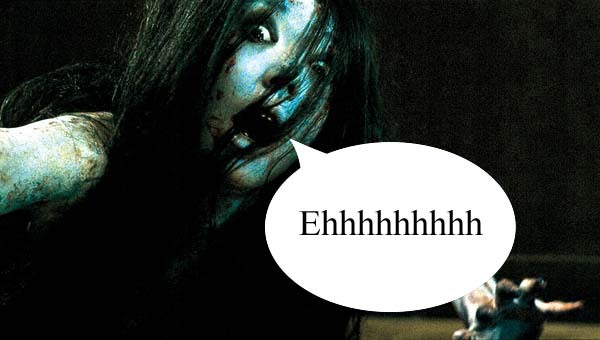 The Grudge 4 won’t be released for at least a year or two. Unfortunately it may be 3D. On the bright Green is trying for a theatrical release. Will this return The Grudge to its former glory? Should this movie even be made? Let me know what you think by leaving a comment below, and don’t forget to vote. This entry was posted on November 20, 2010 by adamodwyer1. It was filed under Horror, Thriller and was tagged with 10th, 2, 3, 3d, 4, 4444444444, american, anniversary, corner, ehhhhhhhhhh, grudge, horror, in, japanese, katasumi, movie, shimizu, takashi, the, thriller, toby, version, wilkins. I dnt want a 4th d third wasn’t d best so dey should just leave it der !!!! Dnt make it any worse please !!!! Maybe a fourth could save it. Or atleast make a grudge movie marathon longer. It is true that the franchise should continue, but the show will succeed with the return of actress Takako Fuji, she returned to play Kayako Saeki obviously the film will hit the back, nothing more fair than the director Takashi Shimizu to direct the series back Ju-on and clear, especially Takako Fuji back, without her the show would not succeed as well with The Grudge 3 did not, do not misunderstand me, but the actress does not interpret well Aiko Horiuchi Kayako Saeki, and agreeing Toby Wilkins not had great ideas about the series. The Grudge is one of my favourite movies. Kayoko is such a great, for lack of a better word, villain. I love the Grudge films and I’d love there to be a 4th one. Love to find out if she realeses all the anger she had fr her husband, and if she finally realises all the bad shes done. if not there should be a 5th made. and so on. in the book series she cant get rid of her despair and rage. but in one book she finds her voice even tho her neck is broken!!. she says to a group of girls that enter the house that she will never forgive her family for what they have done for her and will never forget what her husband did to her child. before killing these girls. I’d love it if they did your idea of continuing the series, but it’s looking like a reboot may be on the way. There was a new Japanese film last year, but I think that was somewhat of a reboot as well. It’s still one of my favourite movie franchises. I’ve actually never read any of the novels, but you’ve made me curious. Are they worth the read? How many are there?